Rice started the last 66 games at forward for the Bulldogs, finishing with 111 total appearances. The senior became the 23rd player in program history to eclipse 1,000 career points, and with 1,061 career points she ranks 20th all time. 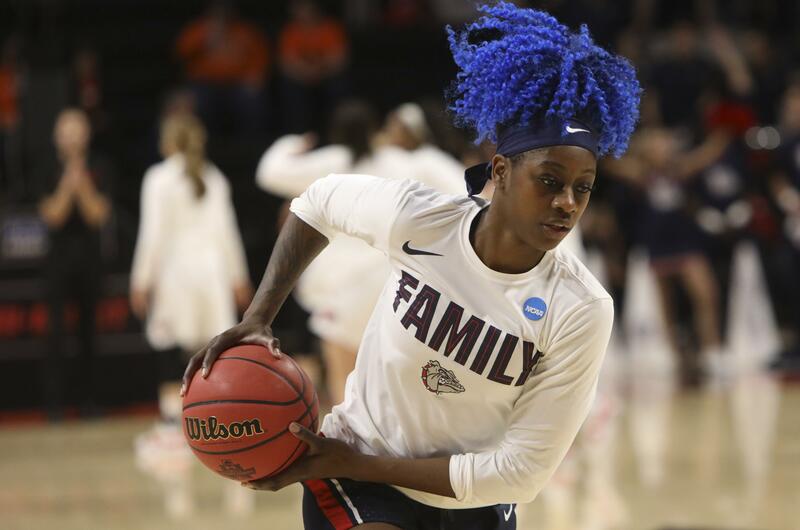 This season, she led the Zags and ranked eighth in the West Coast Conference at 15.0 points per game, and also led the Bulldogs and ranked 15th in the conference in rebounding with 5.8 per game. Rice also ranks fifth all time in career field-goal percentage at 50.6. This season, she led the Bulldogs in points, rebounds and blocks with 26, and she ranked second in field-goal percentage at 52.3. The Tacoma native is a two-time All-WCC performer, earning first-team All-WCC for the first time in her career this season. Rice was also tabbed WCC All-Academic honorable mention. She is wrapping up her master’s in organizational leadership after having earned her bachelor’s in international relations a year ago. Published: April 11, 2019, 5:20 p.m. Updated: April 11, 2019, 5:53 p.m.